This is PART 1 of the lengthy Afterword to my book Black Writing from Chicago: In the World, Not of It? Go here for PART 2. Part 1 mostly covers fiction, poetry, and drama writers whom I could not—most regrettably—include in the anthology. Part 2 picks up with great writing in history and sociology, then returns to poetry, especially spoken word (I also mention great sermons). Part 2 ends both with broad looks as the Chicago Black literary scene, but also with specifics—like every writer in the important anthology NOMMO that I was unable to include. This Afterword to Black Writing from Chicago adds many important names to the Black writers list previously published on this site. This afterword attempts to suggest the greater scope of Black writing in Chicago, but an early reviewer of the manuscript of this book said it sounded too much like an apology. He was right. This afterword began as a string of regrets, a string that gets longer every time I think about it. I am humbled by the depth of the Black writing community in Chicago, and I know for lack of space and knowledge I have left out so many, many names. I can only apologize and beg forgiveness. Of course, this book is only the proverbial tip of the iceberg even for those included. A few hundred words to represent the tens of thousands of words in Black Metropolis, for example, or four poems to represent the astonishing output of someone like Carolyn Rodgers. Gwendolyn Brooks didn’t get much space either, though I content myself knowing that because of her widespread fame a mere nod in her direction is enough to connect most people to easily available works and the memory of her power. But others left out for one reason or another—mainly the limited pages allowed by the economics of publishing, or permission fees beyond our means to pay—these are deep, unsolvable regrets indeed. First and foremost, I will immediately agree with anyone who believes omitting Leon Forrest is unforgivable. 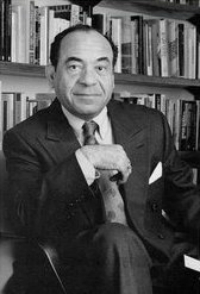 Chair of African-American Studies at Northwestern from 1985 to 1992, he authored four celebrated novels: There Is A Tree More Ancient than Eden (1973), The Bloodworth Orphans (1977), Two Wings to Veil My Face (1984), and the monumental, 1132-page Divine Days (1992). I tried to create a montage of passages centered on the mythic Sugar Grove character in Divine Days, finally admitting to myself that even 30 pages could not adequately convey the deep, quickly flowing multi-levels of a style so thick with myth and allusion. Its book jacket accurately dubs Divine Days a “Ulysses of the South Side,” and, indeed, the novel opens with quotes from Homer, the Gospel of John, Joyce, and Dostoevsky. A 1993 issue of Callaloo was devoted to essays on Forrest’s four novels. I also recommend Relocations of the Spirit (1994) a collection of his essays, mostly on life in Chicago. Among other worthy novelists that could not be included is Willard Motley. The opening pages of his We Fished All Night is one of the finest evocations of Chicago’s Loop, and his most successful novel, Knock on Any Door, likewise contains brilliant passages rendering Chicago atmospherics as well as any writer ever has, including Nelson Algren, with whom he is often compared. 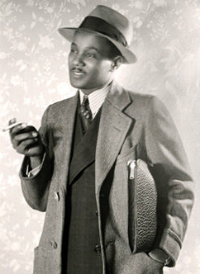 Percy Spurlark Parker comes to mind as a representative of the mystery novel written by Chicago Blacks. 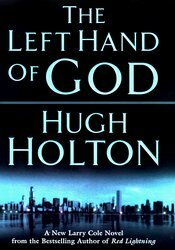 More recently, Hugh Holton, while a Chicago cop for more than twenty years, published crime novels such as Chicago Blues (1997), The Left Hand of God (a 1999 work combining crime and fantasy genres), Time of the Assassins (2001), and The Devil’s Shadow (2001). More attention also needs to be paid someday to writers published by Herman Cromwell Gilbert’s Path Press, and to Path Press’ co-founder Bennett J. Johnson. Of Chicago’s many fine short story writers, I would highlight here Marita Bonner, whose work has been collected by Joyce Flynn and daughter Joyce Occomy Stricklin in Frye Street & Environs. 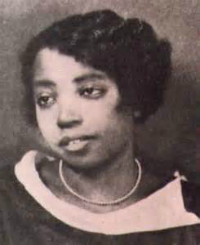 Though her vision of the possibilities Chicago offered Blacks had turned quite pessimistic by 1940, her 1926 story “Nothing New” introduced her mythical Frye Street as a vision of the multi-ethnic neighborhood that held hardship, certainly, but also promise. Bonner’s work set tones and themes that deeply influenced writers like Alice Browning and Era Bell Thompson, and echoes of her work can be heard in younger writers like Audrey Petty. the Performing Arts. 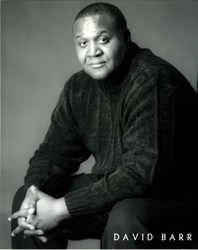 Here one must also mention Charles Smith, who grew up on 46th and Vincennes, and, like August Wilson, “…transmutes black history into works of explosive emotional power and intellectual complexity.” (1) Among his plays are Black Star Line (1996), The Sutherland (1998), Knock Me a Kiss (2000), and most recently Free Man of Color. David Barr III, a presence on the Chicago acting scene since 1986, has also won several writing awards for his plays, including an Illinois Arts Council Award (1995) and the Black Theater Alliance Award (1997) for The Death of the Black Jesus. His adaptation of Walter Mosley’s novel The Red Death won the Edgar Allen Poe Award (1998), and the following year he began working with Mrs. Mamie Till Mobley on State of Mississippi vs. Emmett Till, based on the life and infamous death of her son. You could do another literary anthology of just great Chicago plays. Here’s a montage from David Barr III’s website. (1) Julia Keller, “ ‘Free’ ” from His Past.” Chicago Tribune. 22 February 2004: Sec. 7, 1. ♦ Go to the Black Writing from Chicago main page, where you can also BUY the book. ♦ Go to a list of Black writers. This Afterword adds many names to this list! 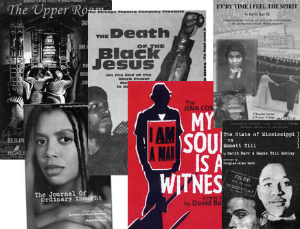 This entry was posted in Black Writers, Chicago Writing and tagged Black Writing from Chicago, David, Leon Forrest, Richard R. Guzman, Ted Ward. Bookmark the permalink.